Slow spin to 23 rpm If the tub does not spin go to Bravos manual diagnostic mode: Motor, Spin. Hot and cold (Warm Water) primary water valves open as well as the detergent and fresh fill valves, then the fresh valve until the basket floats, disengaging from the basket hub. 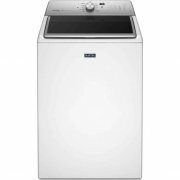 The washer will then continue filling through the detergent and fresh valves to the minimum water level. If there is no water or the water temperature is wrong go to Bravos manual diagnostic mode: Water valves. The cold water valve and the bleach valve open for 10 seconds. If no water flows through the bleach cup go to Bravos manual diagnostic mode: Water valves. Hot water and fabric softener valves are opened for 10 seconds. NOTE: if you washing machine doesn’t have a fabric softener dispenser, this step will happen but no water will flow. 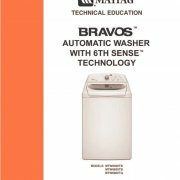 If your washing machine has a fabric softener dispenser and no water flows go to Bravos mannual diagnostic mode: Water valves. The washing machine will agitate for 15 seconds. 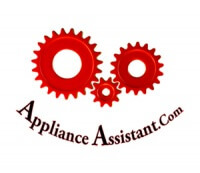 If the washing machine does not agitate go to Bravos manual diagnostic mode: motor, agitate. 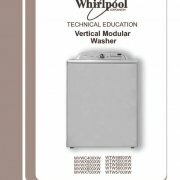 The washing machine’s recirculation pump will energize for 10 seconds If no water is being re-circulated go to Bravos manual diagnostic mode: Pumps. The washer will continue to drain and slow spin at 23 rpm If the drain pump is not pumping water from the tub go to Bravos manual diagnostic mode: Pumps. Perform steps 1 and 2 for the activation of the Bravos automatic diagnostic test mode then press the same button one more time while 88 is on the washing machine display for 5 seconds. Pressing the “STOP” or “POWER” button at any time to exit the washing machine’s diagnostic mode. 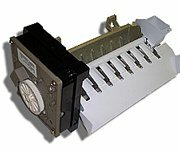 To manually activate the Recirculation pump on the Maytag Bravos Washing Machines press and release the “Clean Washer” or “Drain & Spin” button (push button models) or Select the “Clean Washer” or “Drain & Spin” cycle option and press start (rotary knob models). 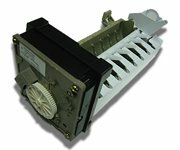 The Console and indicator diagnostic test on a Maytag Bravos Washing Machine is used to check the cycle selector knob, console indicators, user interface buttons, two-digit display, and beeper. 4. Whithin 5 seconds press “Start” all indicator lights should come on and 88 should be displayed.